Honestly, we dared not take up the challenge in the past few years. We were invited to participate in an annual camping trip to Pahang – at least once a year. We turned down every time due to unreadiness and other unknown factors. But not this year! Somehow my wife and I felt that this is the time to take up the challenge. And at the same time, it’s also a weekend getaway for the family. 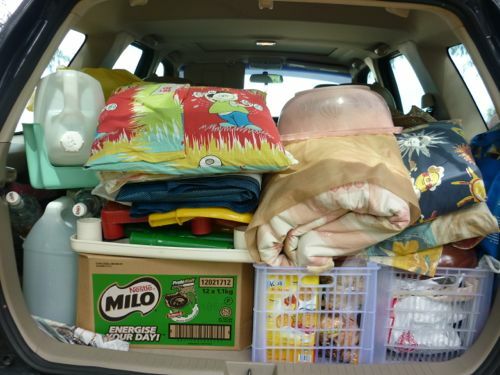 We (ok ok, it’s my wife) took about a month to prepare for the camping. We bought some of the equipment while some we borrowed from friends. We don’t mind investing in the tools and gadgets and all things camping, but we are not sure if we (I mean the kids) like it or not. 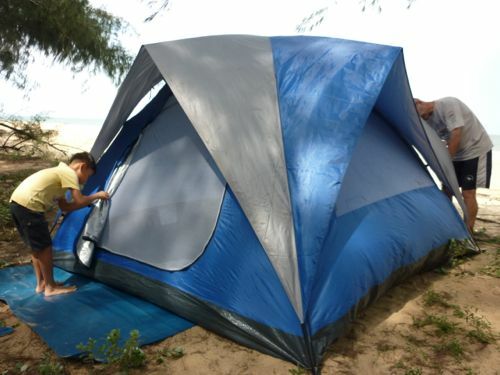 It’s no joke that there are many things to prepare for the camping. It’s even more challenging since it was our first trip. Asking friends who had gone for the same trip before did really help us in our preparation. The trip happened over the last weekend (Merdeka Holidays). Everybody was anxious on the first day. The camp site is far. I mean it’s really really far. It took about 6 hours to reach with one simple meal threw in between the journey. 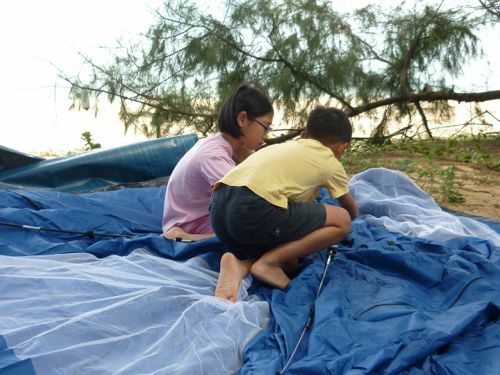 Once we reached, with the help of friends, we managed to pitch the tent in no time. The site is right next to a quite, nice beach. 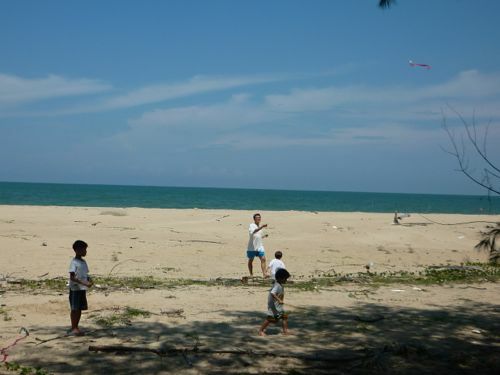 Over 3D2N, we were lazing around the beach like millionaire retirees. Enjoying the breeze (and occasionally thunderstorms) and lush green scenery around the camp site. It’s not all cosy experiences though. Because we have to dig a whole in the ground before we answer nature’s call and cover it with dirt once you are done. 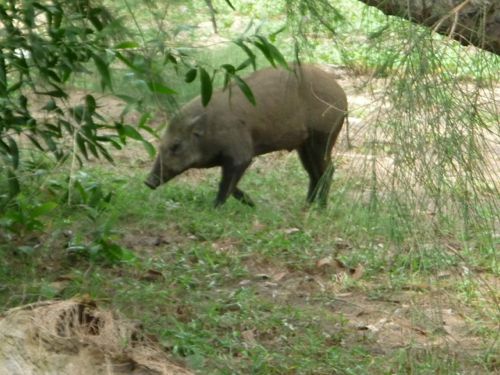 As if the trip was not exciting enough, we had a close (in fact, two) encounter with a lone wild boar. It was wandering around our site and it might be attracted by food that we had. “What’s the highlight of the trip?” I asked J and K after the tiring but exciting trip. 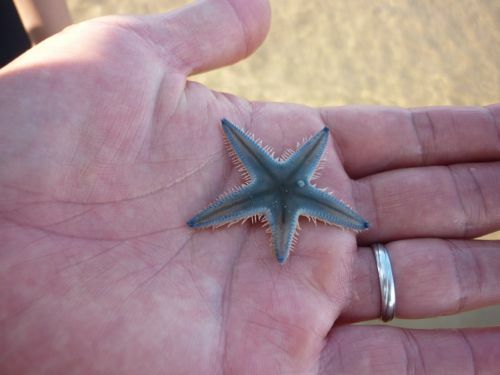 For J: The starfish! 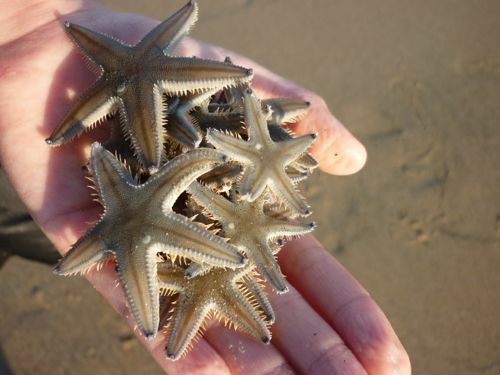 I am surprised the beach is full of starfish… and they are alive! 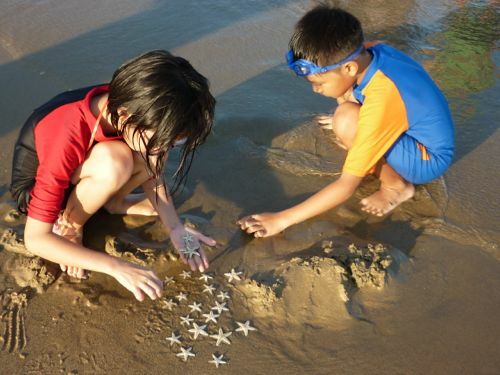 The kids took a while playing and catching starfish. Of course, they let them off to the sea once it’s done. 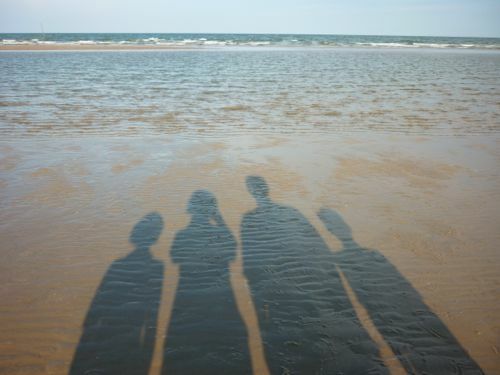 For K: The chance to play in the sea. Needless to say, the beach is superbly clean and long and shallow. 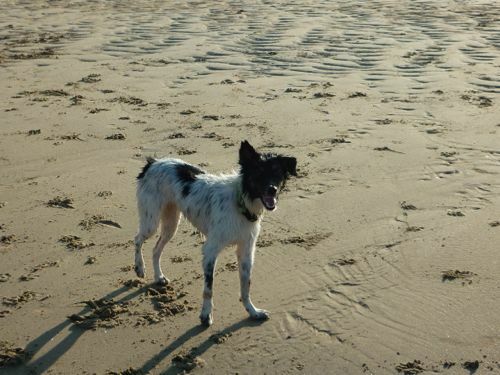 It’s well kept and we owned the whole beach. It’s not good news to the parents as we are the ones who are laboring around to prepare for the energy draining trip. But seriously, the camping trip was fun and we don’t mind doing it again albeit all the works – before and after the trip. It was quite an experience for the kids to enjoy simple and basic life even though it’s only for a few days.